LOMA LINDA, Calif. — A Yucaipa family is living a parent's worst nightmare — having to say a final good-bye to their own child. 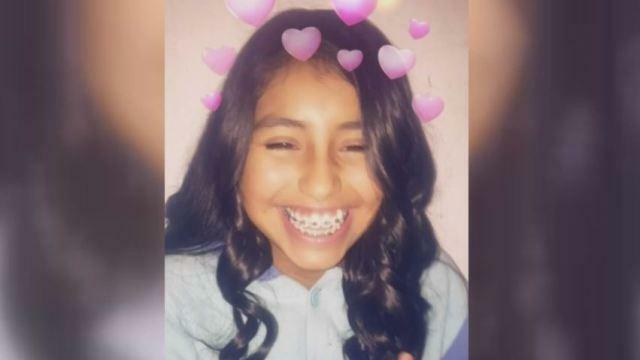 Charlene and Freddie Avila couldn't hold back the tears as they talked to CBS Los Angeles about their 13-year-old daughter Rosalie outside the hospital where she was on life support Sunday night. Rosalie attempted to take her own life last week, the victim of bullying, according to a note left to her parents. "My whole world just came crumbling down," the tearful mother told CBS Los Angeles. Charlene said she couldn't understand how someone could be so mean to her. "As a mom, I'm still asking myself, like, 'What went wrong?' I don't know." A journal left behind by the eighth-grader, who dreamed of being a lawyer one day, documented some of the bullying she experienced at her Calimesa school. "'They told me I was ugly today,'" her father Freddie recalled reading. "'They were making fun of me today about my teeth.'" Ever the considerate person, Rosalie left a note apologizing for what she would do. "'Sorry, Mom and Dad. I love you.' And it said, 'Sorry, Mom, you're gonna find me like this,'" Freddie said struggling to get the painful words out. And as if that pain was not enough, Rosalie's parents said they are now being bullied as they mourn having to let their daughter go. They received a message on social media with photos of Rosalie saying, "Hey mom. Next time don't tuck me in this," referencing a bed. Below that, it says, "Tuck me in THIS," with an arrow pointing to an open grave. Addressing those faceless persons responsible for the post, Charlene said, "For you to do that, I mean, you're heartless. You're a very heartless person, and you have no compassion." The parents have turned Rosalie's journal over to the police, and they want the school district to do something about the bullying, saying enough wasn't done to prevent this tragedy. "I did everything I'm supposed to do as a father, and these people did not respond, because those bullies are still at the school," lamented Freddie. "They're still there, and my daughter's gone." The family plans to take Rosalie off life support at 9 p.m. Monday and donate her organs. They have set up a memorial GoFundMe page to help with costs of Rosalie's burial.